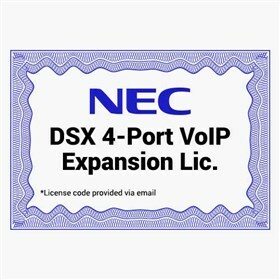 The NEC 1091046 is the VoIP Gateway 4-Port License allows you to expand the number of VOIP gateway ports on the VoIP Gateway 4-Port Daughter Board (VOIPDB) up to the system maximum. The NEC 1091046 has many exciting features for users of all types. The NEC 1091046 is sold as a Brand New Unopened Item.